In ancient times, eggs symbolized new life and birth. In the Ukraine, egg decorating became a treasured art that was passed down from generation to generation. 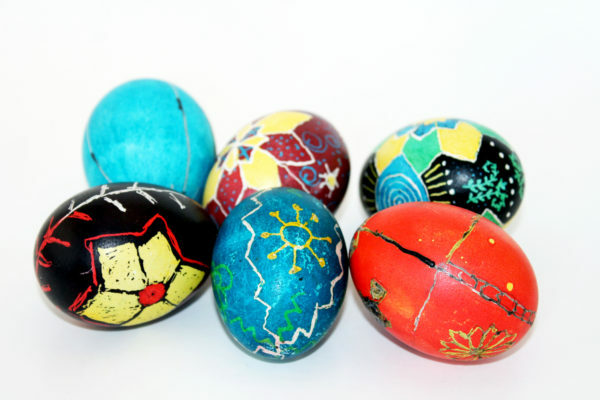 Pysanky comes from the Ukrainian word “pysaty” meaning “to write”. The design is written with beeswax on a raw, white egg. Between each successively darker dye, more wax writing is added to cover up and preserve each colour in the final design. After the final background colour the egg is warmed up for easy wax removal and a completed design is revealed. Please note: This program is only offered in the months of March, April, and May unless multiple class bookings are requested.